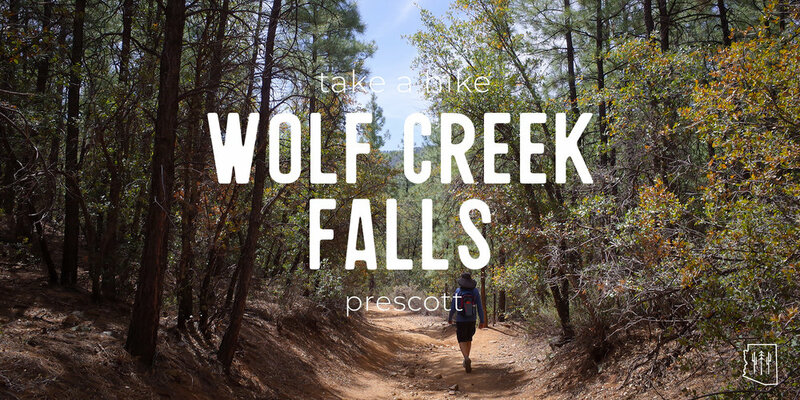 Wolf Creek Falls Trail is a short hike that leads to a beautiful vista. Options for lengthening the hike can make it more challenging. In late winter or early spring, expect to see a running creek and a waterfall. Accessibility: Limited parking on the side of Wolf Creek Rd. The first quarter mile is a beautifully wooded descent down a well-traveled path. There is some loose rock present so do exercise caution. You’ll notice the “384” trail signs posted on the trees. When you reach where the forest is level, the signs will direct you to the left. You’ll want to ignore them and veer right. A felled tree with a cut out portion will confirm that you’re headed in the correct direction. At the fork, you’ll have the option of going left or right in a short loop. The right path is heavily overgrown and since this part of the trail is not heavily trafficked, be prepared to hike through dense brush that may catch on clothes or break skin. I recommend the path to the left, and rather than loop around, come back the same way you traveled. The trail begins to get a bit more challenging as you’ll gain some elevation and then scramble down to the creek. By mid-spring the creek is almost entirely dry and the falls are diminished to a faint trickle. However, if you continue on the path the way the water would flow, you reach a plateau of rock. A single alligator juniper grows out of the rock and the breathtaking view of Prescott National Forest extends out in front of it. This would make for a perfect picnic or photo spot. If you do choose to loop around, make your way to the right of the large boulder as the footing through the crack in the center is tricky and would require bouldering skills. Once back from the loop, head through the trees again to Wolf Creek Road. From Phoenix, take I-17 North 55 miles to AZ-69 North. Continue through the town of Prescott where AZ-69 becomes Gurley St. Make a left onto Mt. Vernon St., which quickly becomes Senator Highway. Continue on Senator Highway, past Goldwater Lake and Groom Creek. Just past the YMCA camp, you’ll see a sign for Crown King, the Wolf Creek campgrounds, and Highway 89. Turn right at the sign onto Wolf Creek Road, which is unpaved. 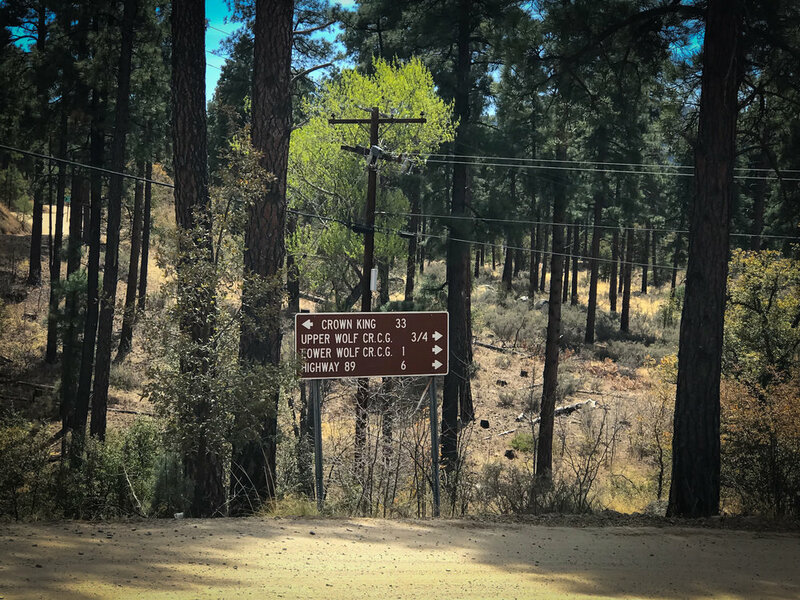 Drive about a mile past the Upper and Lower Wolf Creek Campgrounds where you’ll find trail markers for Forest Road 384 on both sides of the road. Park on the right-hand side, just after the trail marker. The trail begins on the left-hand side with the swing gate. There are no services, facilities, or amenities on the trail. Make sure to pack plenty of water appropriate for the season and exercise “leave no trace” ethics. Make sure to bring sunscreen or a hat as the first part of the hike is without shade cover. The waterfall would be best viewed after a good rain.